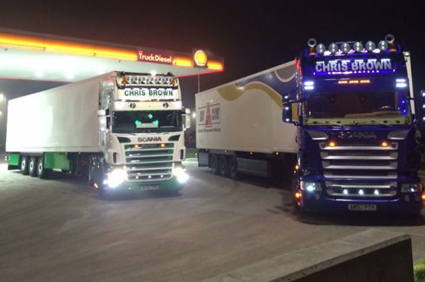 As a family run business established in 1998; Chris Brown Express Haulage is a leading haulage contractor with two depot's conveniently located in Goole, East Yorkshire (next to the major M62 motorway) and in Chilcompton, Somerset (near the major M4 and M5 motorways. So no matter where you are throughout the UK; we waste no time getting your goods on the move. We operate a range of lean, well presented Scannia & Mercedes vehicles ranging from 7.5 tonne to 44 tonne and pride ourselves on delivering an efficient and reliable service 24 hours a day 7 days a week. Our professional drivers are totally customer focused and have built a reputation for their flexible, can-do attitude; offering an excellent, very reliable, honest and professional service each and every time. Armed with a vast amount of knowledge and a wealth of experience within the road transport industry, some of our most popular services are palletised freight distribution, container collections, refrigerated transport, hazardous chemical transportation and overnight deliveries. 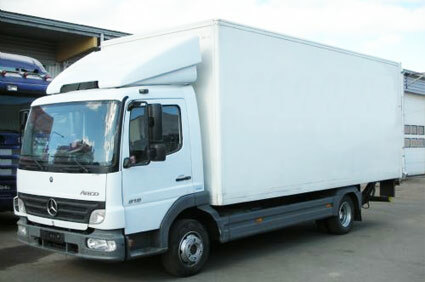 We're specialists in groupage loads, imports/exports, dedicated deliveries or collections. About Us - "We Do What We Say!" 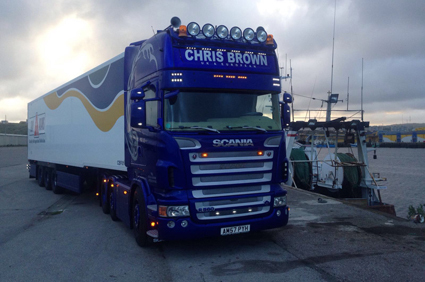 With many years experience within the haulage and road transport industry, Chris Brown Express Haulage are experts when it comes to both regular, scheduled, contract work and last minute or singular deliveries. There is very little we don't know about distribution and logistics, over the years we have developed methods which allow us to safely and efficiently deliver your goods on time and at the right price. We have built up an excellent reputation throughout the region and the rest of the UK for our unrivalled service and reliability. Our customer service is second to none and we go out of our way to make sure everything is to our client's satisfaction. As a testimony to our methods, drivers, staff and many years experience dealing with commercial clients, the vast majority of our work arrives via recommendation and previously satisfied customers. So if you want to get your business moving at highly competitive prices give our customer services hotline a call today on 07831 635 967. Or send an email via the contact form at the bottom of this page and a member of our staff will call you back at a time to suit you. 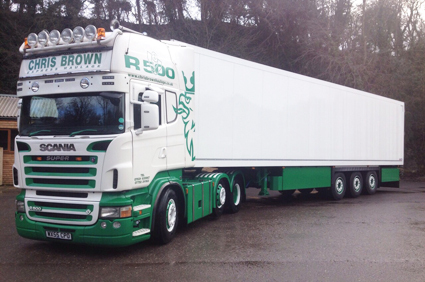 © Chris Brown Express Haulage All Rights Reserved.